1. In a pan, cook beans, kale, onion, and cumin on a low heat for 5 minutes stirring frequently. 2. Lightly heat taco shells in oven and remove with glove. Allow 30 seconds to cool. 3. 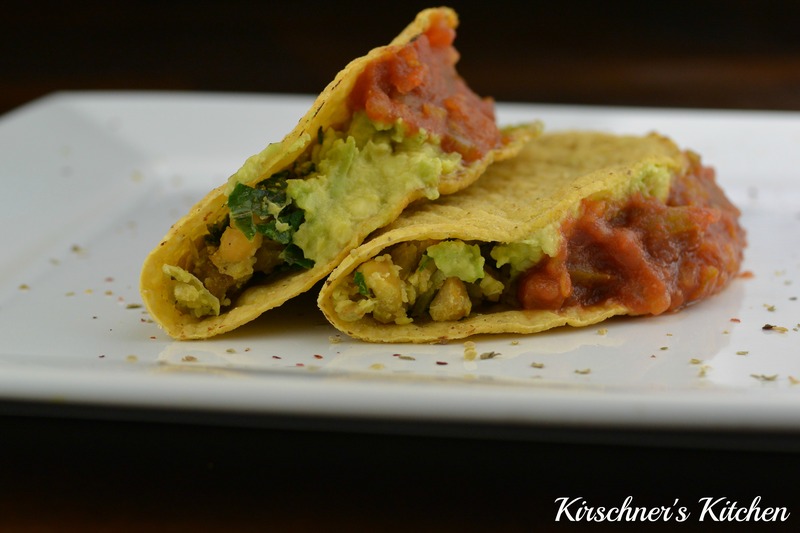 Scoop bean mixture into taco shells. 4. Add avocado and salsa. p.s. Hey Andrew, have you seen this? The last two tips will be surefire wins at the 2016 Negative Advocacy for Animals Conference. It’s in the early stages, but I’m planning a demonstration there because they just aren’t negative enough. Thank you for your question. When garbanzo beans are cooked, they are easy to smash with a potato smasher. You can also use a blender. I hope you enjoy the recipe! I’m hoping to try the recipe this weekend, though (no joke). ← Are You a Knockout Animal Advocate?